We'd only been married for two months. And I was exhausted. Work, laundry, dinner (sometimes), the dishes; I was even picking up his socks, as cliche as it was. Marriage, I whined to myself, is not what I thought it would be. I pulled into the parking lot of the store, parked, and sat, sulking in negativity. We are suppose to be like this, I thought it would be that, he doesn't do this...gah. I leaned my forehead against the steering wheel and stared at the dashboard in frustration. Then I noticed my gas arrow, uncharacteristically pointing at full. I knew immediately that my cute husband was the reason. And just like that my black little train of thought derailed. And I gave myself a little get-over-yourself shake, and started composing a list of things I would remind myself next time a breakdown occurs. 1. Be Kind. Chances are, neither of you have done this before. When he accidentally puts your shirt in the dryer and now it can fit your niece, accept his apology graciously. Let him know what to do in the future and thank him for doing the laundry in the first place. Both of you have a lot to learn from each other, so remember to be kind. Then when you slip up he will return the favor. 2. Stop thinking single. When you're married, be considerate of your partner always. Its tough being so accountable to another person, but be sure to tell him if you'll be home late or ask him before you drop $80 on a pair of shoes. All big decisions should now be made together. 3. Different doesn't mean wrong. I have 10 o'clock narcolepsy. As soon as the clock strikes 10pm, my eyes are drooping, my head is bobbing and I want to go home and embrace my bed. Tayler is much better with nights, but he's not a morning person by any means. He is not wrong in his ways nor am I wrong in mine, we simply do things differently. The popular LDS speaker John Bytheway once reported that he loads the dishwasher with the utensils pointing up while his wife loads them pointing down. He stressed that these little differences do not matter, what matters is maintaining a good relationship with one another. Don't let a minor difference become a major argument. 4. You moved up a level on the adult scale. Embrace it. In college the parents were still supportive and wonderfully possessive. They covered insurance, they had the phone plan, they still invited you to vacations. (Yep, prepare to be un-invited.) But marriage means that you two chose to start a family of your own on your own, and all that that entails. Work hard, and do all you can to support your new family independently. 6. The honeymoon doesn't have to end. Self explanatory right? Don't let that healthy obsession for each other fade away. 7. Remember that you have a whole life full of future together-be excited for it. This world is huge and marvelous, make real plans to explore it. Set goals, plan vacations, make bucket lists. How wonderful to know that you have a constant companion for every adventure you embark on; whether it be a business venture, starting a family, or going on a road trip. 8. Arguments are inevitable. 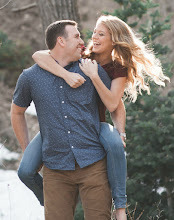 Maybe its taboo, but Tayler and I saw a marriage counselor while we were engaged. 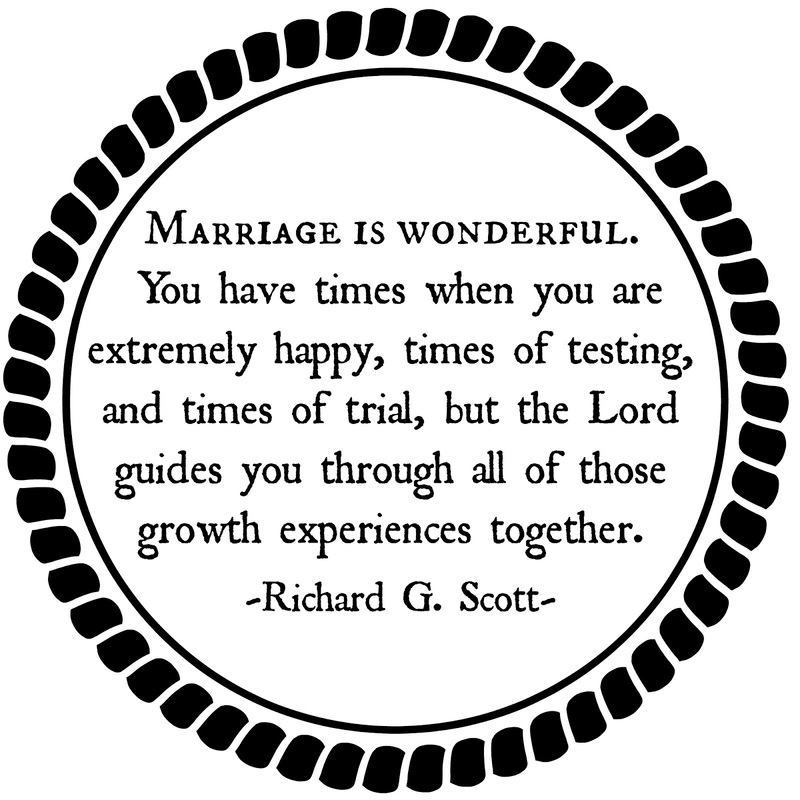 Not because we were crumbling under the pressure of our looming nuptials, but because we are fully aware that we are two different people. I was a penny hoarder growing up. No not a pincher, a literal hoarder. Tayler is a "If you love it get it" guy. 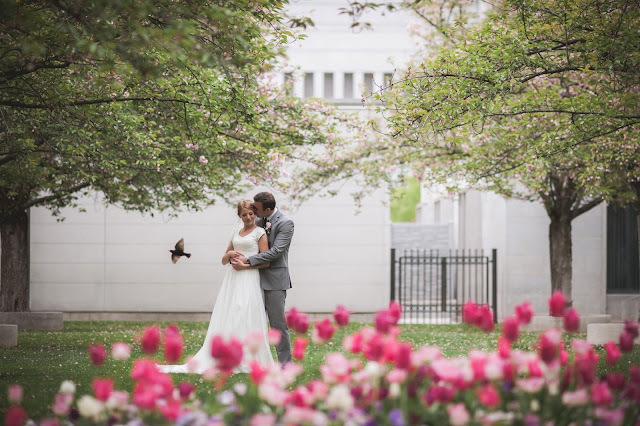 We brought this financial difference to the attention of our counselor, and she revealed something amazing to us: Every couple has 5 to 10 major arguments/issues that never get resolved. Hoarding is part of my nature just as spending is part of his. Those defining features of character will probably never change. You just have to learn to work with them. 9. You're on the same team. Be fiercely loyal to each other. When the arguments come up, talk them out to with each other, don't complain to someone else. If you feel you just can't talk it out with him/her right now, talk to Heavenly Father. 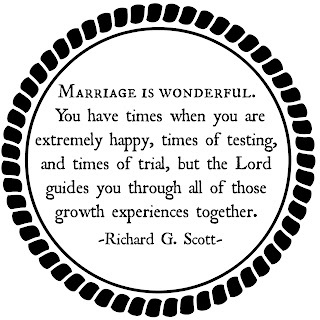 Marriage is part of His plan, and he will help you accomplish what he asks of you. 10. It's hard, but it's worth it. Dishes, fights, and cramped apartments are small prices to pay for the laughter, comfort, support and friendship you get from living with the cutest roommate you've ever had. How lucky to wake up every morning to the face of your favorite person, in their full morning glory:) Remember the blessing it is to be married, and do the little things to cherish it. 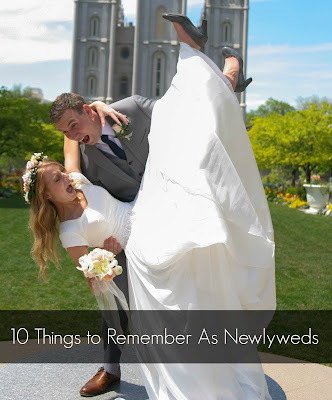 I hope what I've learned can help some other newlyweds out there:) If you have any other pointers you would add to the list I would love to hear them!